April Xie is the Graphic Design Student Assistant for eCampus. As a Graphic Design undergraduate, she brings to the team her creativity and art. 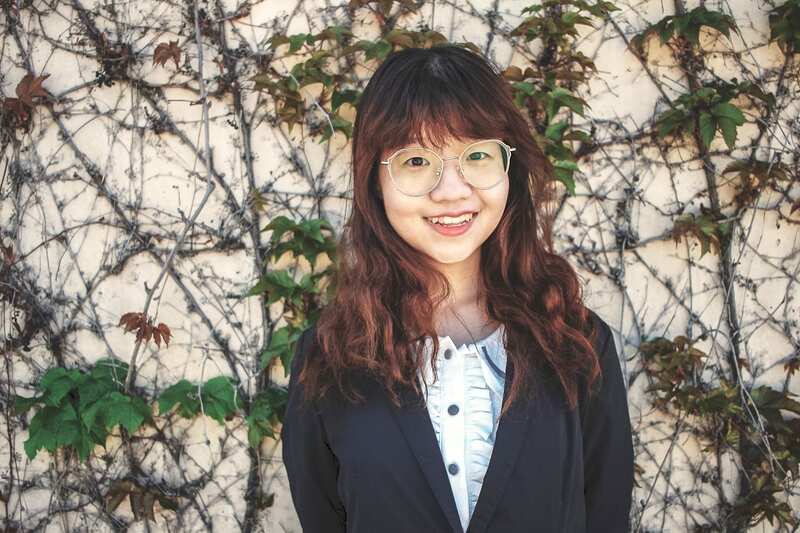 She is expected to graduate this May and will bring her incredible skills to IBM China as their Graphic Design Intern for the summer. When I asked her about her plans for the future she stated, “I plan on going back to China for my internship this summer but after, I am going to come back to the states for Grad school”. It is inspiring to see someone who is so passionate about their craft continue to do great work on an international level. My co-workers and I are constantly awed by April’s creations every single week. When April started, her kindness and passion for her discipline showed. It is one of those things that inspires you to be better and hone your own skills as she does. April has been a team member for eCampus for about 4 months now and has created incredible designs for the department. Whenever we have a new marketing campaign or event happening, April is in charge with creating the designs for the flyers and posters. Her work has been published on our eCampus home page and posted all throughout the university departments. She hopes to be a UI Designer for a creative, inclusive and innovative company. April says, “My favorite part of working at eCampus are my co-workers because they were welcoming and inspiring. I also get incredible opportunities to create designs for my department and learn more about Graphic Design from my creative collaborators”. As if April is not talented enough, she can also play 8 musical instruments. The future is bright for April and I know the world will witness her incredible designs.